ScubaFit® is the leading fitness for scuba diving resource providing scuba divers with safe and effect exercise and nutrition programs based on the health profile of the diving community and the unique demands of the underwater environment. Customized workouts help to improve the health, comfort and performance of scuba divers. 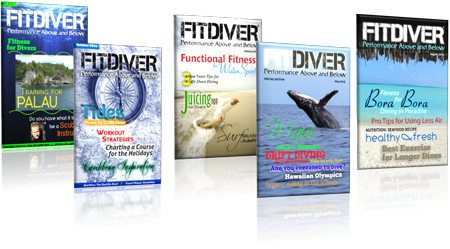 Fit divers are safer divers, more likely to advance scuba diving training and to dive more often. Benefits of being fit to scuba dive include easier handling of scuba diving gear, better use of air and greater enjoyment of the sport. 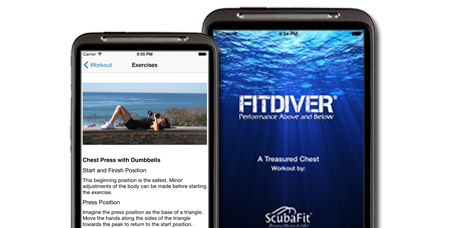 ScubaFit® brings fitness to life for scuba divers with FitDiver® Magazine, FitDiver® Mobile Apps, the ScubaFit® Blog, Dive Show Presentations and Featured Exercises. 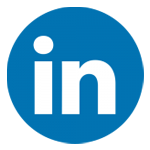 We invite scuba divers to explore the website, join us for one of our events and follow us on social media. 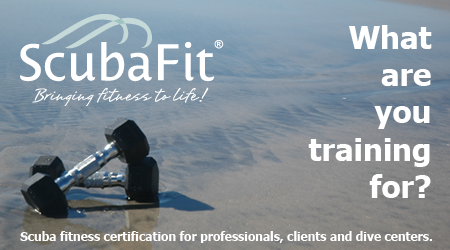 ScubaFit® is the only fitness for scuba diving certification. The ScubaFit® Diver Course is approved by both PADI® and International Sports Sciences Association for both dive and fitness professionals. This ScubaFit® Diver Specialty is the only fitness for diving credential approved by both diving and fitness agencies. Scuba diving is usually described as a moderate level activity. Scuba diving by itself does not lend itself to the maintenance of physical fitness. The ScubaFit® Diver Course provides the diver new to a fitness regime an introduction to fitness basics. For those divers who already pursue a program of physical fitness, sport specific exercises, fitness concepts, and training tools are expanded to advanced levels and unique circumstances. The program incorporates components for maintaining physical fitness for all types of diving during peak seasonal activity and during the off season. Take a fitness for diving workout with you. The apps provide specialized workouts based on the date of your next diving activity and current fitness level.